Halls are now closed – Have a nice Winter Break! The residence halls closed at 10am today for Winter Break. If you didn’t register for break housing, you should be on your way home or to wherever you are going to spend break by now. Our halls will reopen on Monday, January 15th at 2pm. Enjoy your break, Pirates! Author Cheryl McCloskeyPosted on December 20, 2017 December 20, 2017 Categories Break Housing1 Comment on Halls are now closed – Have a nice Winter Break! Author Jessica ProanoPosted on December 14, 2017 December 1, 2017 Categories Break Housing, Holidays, Residence HallsTags clean, room, yourLeave a comment on Clean your Room!! All Residence Halls except for Boland Hall, Xavier Hall, Turrell Manor, and Ora Manor will close on Wednesday, December 20th, 2017 at 10:00AM for Winter Break, and will re-open on Monday, January 15th at 2PM. Break Housing Applications will only be approved for those with extenuating circumstances. Break Housing is NOT GUARANTEED, and to be eligible for accommodation, you MUST follow the process and deadline schedule below, as NO EXCEPTIONS will be made. Live more than 6 hours away from the University. Be an active in season athlete. Have a university work commitment. IF YOU DO NOT MEET ANY OF THE ABOVE CRITERIA, YOU ARE NOT ELIGIBLE FOR BREAK HOUSING. You currently reside in one of the open residence halls. You have a friend, (of the same gender), who resides in one of the open residence halls and agrees to let you temporarily stay in their housing assignment during the break. Please be aware that you are responsible for any damages that occur in the housing assignment during your stay. It is YOUR responsibility to both receive and safely return the key to your friend. There is a maximum of two break housing students per room. Click on “Access Housing Profile”. The Break Housing Application can be found at the top of your Housing Profile under the “Application” tab, located in the black bar on the top page. Who may apply: Students who meet the above criteria and have exhausted all other alternatives. Who needs approval: Break Housing Applicants must receive approval from HRL Staff prior to break via email. If you do not reside in one of the halls which will remain open, it is YOUR responsibility to find a friend of the same gender who will allow you to use their room. If you are denied Break Housing, you must vacate when the residence halls close. Tuesday, November 28th: Break Housing Application becomes available via your Housing Profile on PirateNet. Monday, December 11th at 12PM: Break Housing Application will close. No late submissions will be accepted! Tuesday, December 12th: Break Housing Applicants will be notified of approval status via email. Wednesday, December 20th at 10AM: All halls (except Boland, Xavier, Ora, and Turrell) close for Winter break. All students NOT approved, must vacate! Monday, January 15th, 2018 at 2PM: Halls re-open. Dinner will be the first meal served. Please be mindful that the SHU Fly and SAFE RIDE will NOT be operational during the break. During Thanksgiving Break, on campus dining options will be limited. If you have any questions about Break Housing, please email SHUHousing@shu.edu, or contact your Residence Hall Director. The Thanksgiving Break Housing Request Form is now closed. If you did not register for break housing, you must plan to leave your room for the duration of Thanksgiving break as your ID will not work to let you into our residence halls. If you did not register by accident and require break housing, please contact HRL at 973-761-9172. Residence Halls will close at 10am on Wednesday, November 22nd for Thanksgiving Break and will reopen on Sunday, November 26th at 2pm. For those students who will not be leaving for Thanksgiving break due to work obligations, athletic competitions, or the distance being too far, Boland, Xavier, Ora, and Turrell are available for break housing. Students who need break housing must apply for break housing through the application in their housing profile which will be available November 1st-November 15th at noon. If you do not live in Boland, Xavier, Turrell, or Ora, you must find a friend who will allow you to use their room during break. Approvals for break housing will be sent via email by November 16th. If you’re staying in a friend’s room for the break, it is your responsibility to get their key from them before they leave for break. Remember: break housing is a privilege and you are responsible for any damage or theft that occurs from your break housing room during the duration of your stay. Please keep in mind that SHUFly Shuttle and SAFERide will not operate during break and that campus dining options will be limited. If you are leaving for Thanksgiving break, please unplug everything, close your window shades, remember to pack everything you’ll need for the break (including medications and homework materials), and plan to be out of your room no later than 10am on Wednesday, November 22nd. We look forward to welcoming you back to campus on Sunday the 26th at 2pm. Happy, safe, and delicious Thanksgiving to all of our Pirates! Safe travels to and from campus! 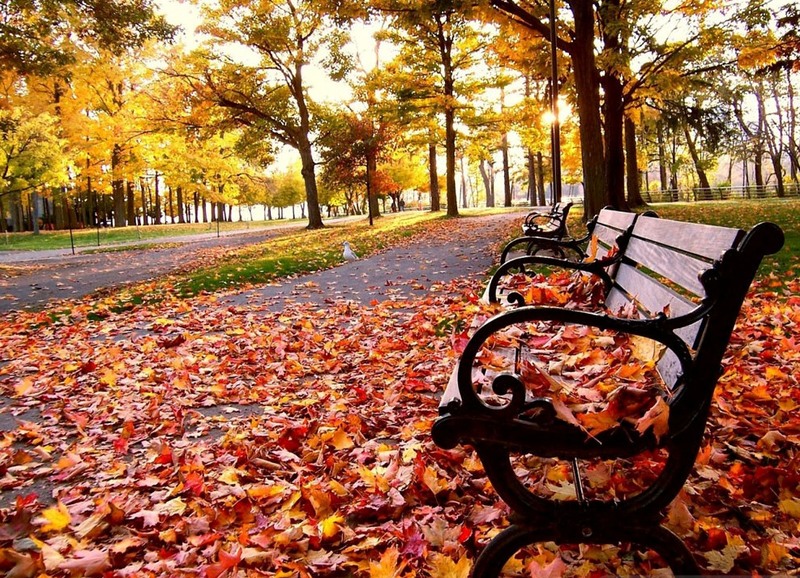 Wishing you a restful Fall Break! Even leaves have to return to their roots. It’s Fall Break and it’s time to take a few days off and catch up on yourselves for a bit. Our residence halls will remain open and you’re welcome to stay on campus, but we’re pretty sure your family and friends at home miss you and want you to come back and visit! However you choose to spend it, we wish you a restful, relaxing, and recuperating Fall Break! 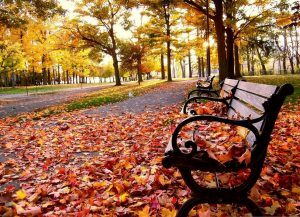 Author Cheryl McCloskeyPosted on October 6, 2017 October 15, 2017 Categories Break Housing, Holidays, Processes, Residence HallsLeave a comment on Wishing you a restful Fall Break! Our HRL family at your Home at the Hall wishes you and your family a joyous Easter. Safe travels back to campus. Our residence halls will reopen on Monday, April 17th at 2pm. Author Cheryl McCloskeyPosted on April 16, 2017 April 4, 2017 Categories Break Housing, HolidaysLeave a comment on Happy Easter from HRL! Break and will reopen on Monday, April 17th at 2pm. For those students who will not be leaving for Easter Break due to work obligations, athletic competitions, or the distance being too far, Boland, Xavier, Ora, and Turrell are available for break housing. Students who need break housing must apply for break housing through the application in their housing profile which will be available March 20th – March 27th. If you do not live in Boland, Xavier, Turrell, or Ora, you must find a friend who will allow you to use their room during break. Approvals for break housing will be sent via email by March 28th. Please keep in mind that SHUFly Shuttle and SAFERide will not operate during break and that campus dining options will be limited. We will also experience a power plant shut down on Thursday, April 13th for most of the day so the campus residence halls will have no electricity besides emergency lighting. If you are leaving for Easter break, please unplug everything, close your window shades, remember to pack everything you’ll need for the break (including medications and homework materials), and plan to be out of your room no later than 10am on Thursday, April 13th. We look forward to welcoming you back to campus on Monday, April 17th at 2pm. 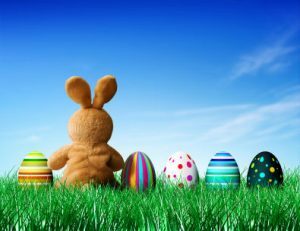 Wishing you a relaxing and safe Easter Break! Sign up for Spring Break Housing! Residence Halls will close at 10am on Saturday, March 4th for Spring Break and will reopen on Sunday, March 12th at 2pm. For those students who will not be leaving for Spring Break due to work obligations, athletic competitions, or the distance being too far, Boland, Xavier, Ora, and Turrell are available for break housing. Students who need break housing must apply for break housing through the application in their housing profile which will be available February 13th-February 27th at noon. If you do not live in Boland, Xavier, Turrell, or Ora, you must find a friend who will allow you to use their room during break. Approvals for break housing will be sent via email by February 28th. If you are leaving for Spring break, please unplug everything, close your window shades, remember to pack everything you’ll need for the break (including medications and homework materials), and plan to be out of your room no later than 10am on Saturday, March 4th. We look forward to welcoming you back to campus on Sunday, March 12th at 2pm. Wishing you a relaxing and safe Spring Break! Author Cheryl McCloskeyPosted on February 13, 2017 February 14, 2017 Categories Assignments, Break HousingLeave a comment on Sign up for Spring Break Housing! The residence halls closed at 10am today for Winter Break. If you didn’t register for break housing, you should be on your way home or to wherever you are going to spend break by now. Our halls will reopen on Sunday, January 8th at 2pm. 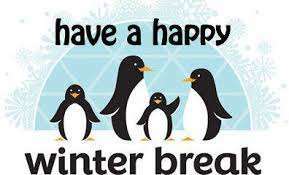 Enjoy your break, Pirates!